An alliance of public health and food safety advocates released a study on Thursday stating that laboratory testing revealed toxic chemicals in 10 varieties of cheese powder used in macaroni and cheese products. According to The Coalition for Safer Food Processing & Packaging, which operates the website KleanUpKraft.com, all of the tested items came up positive for phthalates, a chemical that disrupts hormones that may be harmful to pregnant women and young children. 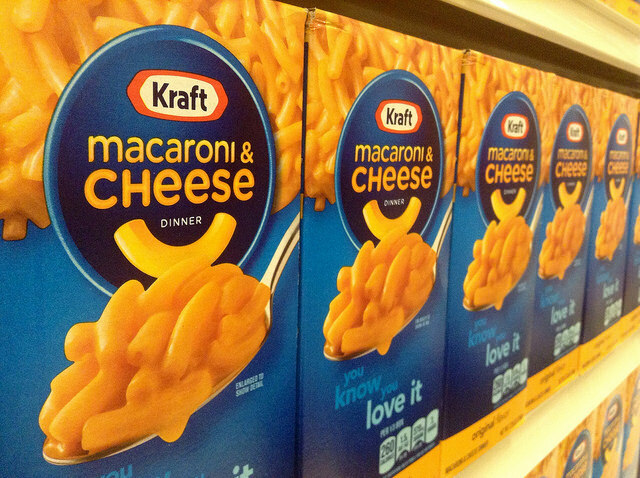 The majority of samples from The Kraft Heinz Company, one of the largest producers of macaroni and cheese products in the United States, tested positive for the chemical, prompting the coalition to call upon the food company to make changes. The tests by an independent laboratory showed that 29 out of 30 cheese products tested contained phthalates and that eight out of nine Kraft products tested showed levels of the chemical. The coalition’s press release announcing the findings of the study points out that phthalates are not intentionally added to food products, instead making their way into edible goods as an “indirect food additive” that comes in contact with food during processing, packaging, and preparation. In response to the findings, The Coalition for Safer Food Processing & Packaging asked Kraft to identify and eliminate phthalates in its cheese products. According to the organization’s release, Kraft agreed to review the organization’s test results.